1. Relation of Hutong & Siheyuan. Hutong and Siheyuan are inseparate. In one hand, Hutong refers to the alley formed by two lines of Siheyuan, the Chinese name of old Beijing residences, a kind of courtyard house. 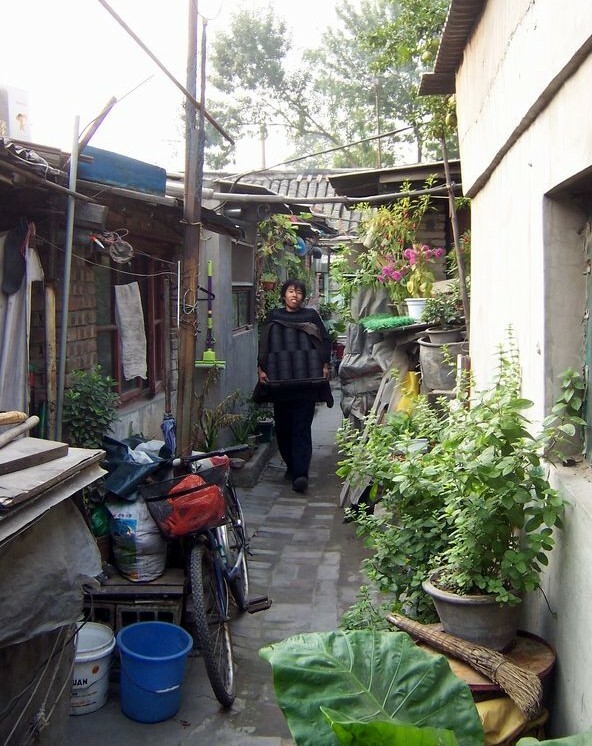 In the other hand, Hutong covers a general meaning of the neighborhood consisted by the alleys and Siheyuan buildings alongside. 2. Notice that common people’s courtyard houses are different from those ones for tourist purposes. The tourist courtyards are usually the former residences of ancient celebrities, so they are spacious, well designed and beautiful while the common ones living by local people are generally one-room family houses (subdivided and shared by many households), cramped, one-storey with a tiny shed-like kitchen-conversion and often no private toilet, and the living conditions are basic at best. This is why hutong gives a feeling like a village. 3. Recommended hutong areas. Most of hutong residences are demolished due to the rapid modern development of the city, but some are relatively well preserved and protected. 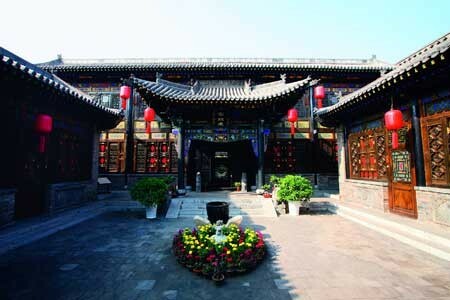 There are 4 most popular areas, including the Houhai hutong area, Nanluoguxiang hutong area, Dazhalan hutong area just south of Tiananmen Square, and the hutong area just north of the Forbidden City and immediately northeast of Jingshan Park. 4. Three good ways to wander around hutong: on foot, bicycle, and rickshaw/pedicab. The famous Hutongs are located in the city center area, and most of the hotels, subway stations nearby offer bike rental service; also you are able to rent a bicycle right in the hutong area. Rickshaw ride around the hutong area has become a popular attraction. The Chinese style must be fresh for you, so very interesting. But remember to find a normal driver who is often certain uniformed and whose vehicle is hanging with a license plate. 5. Don’t expect too much of the hotels in htuongs. The hotels/guest houses/youth hostels are antique Chinese style, very attractive for the ancient favor in addition to the budget prices, however, the facilities and services in most hutong hotels can’t not reach that of the modern ones, for example, some might not be that warm in winter, or the daily used towels are not changed throughout your stay, or the bed is kind of hard. Anyway, hutong hotels are worthy your try. 6. Things to do in Houhai Hutong area. Houhai is famous not only for the well preserved hutong alleys and Siheyuan residences but for the beautiful Houhai lake scenery and the reputed Houhai Bar Street. 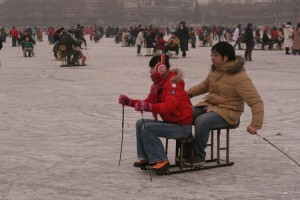 The lake scenery was ever regarded as the most beautiful in Beijing. 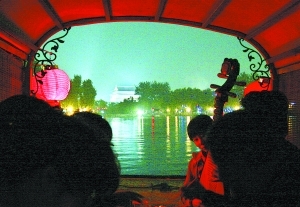 In summer, the lake cruise by either a Chinese style wood made oar boat or a motor boat is so pleasant and peaceful; with a oar boat cruise at night, you are able to enjoy the Chinese instrument playing simultaneously. In winter, the ice-skating/sledding on the lake is also funny. The Bar Street along the lake is elegant, lined with Chinese decorated bars and famous local restaurants. Especially at night, looking down from the seat above the stairs of the hotel, you will be indulged among the peaceful and colorful lake together with the old hutong buildings while tasting wine and chewing snacks.